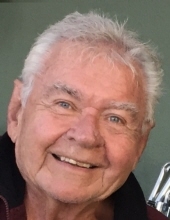 Larry Charles Kelley of Palm Desert, CA, passed away April 10, 2019 in Palm Desert. Larry was born on May 3, 1938 to Cecil and Evangeline Kelley of Lake Benton, MN. Larry studied at St. John’s University, MN, South Dakota State University and the University of Oregon. Larry was Choral Director for West High School, Iowa City, IA. Larry is survived by his sisters: Donna Hodges of Spring Valley, CA, Nancy Wolfe of Apple Valley, MN and brothers: Richard Kelley of Golden Valley MN, John Kelley of Marion, KS. Larry was predeceased by Ronald Wheat, his domestic partner of November 15, 1967 in Chariton, Iowa. To send flowers or a remembrance gift to the family of Larry Charles Kelley, please visit our Tribute Store. "Email Address" would like to share the life celebration of Larry Charles Kelley. Click on the "link" to go to share a favorite memory or leave a condolence message for the family.